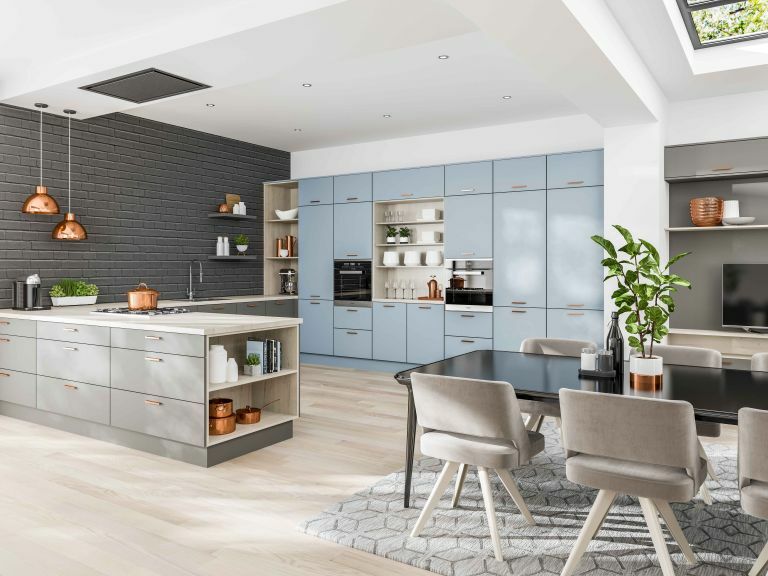 Whether your kitchen renovation requires a complete redesign, adding an extension or simply replacing some of your units, there's guaranteed to be a level of disruption. But, you can mitigate the inconvenience with careful planning and management. Our step-by-step guide to project managing a kitchen renovation makes this process easier, covering everything from tips on designing a kitchen to hiring a team and effective budgeting. Before you visit a kitchen designer, have an idea of which kitchen style you want to go for. Our handy guides are a great starting point for finding inspiration, whatever your style. Do your research and collect images that inspire you to help develop your scheme, and consult kitchen design specialists to make sure you consider all possibilities, when it comes to style and space planning. Ideally, plan to start your kitchen extension in early spring. The major part of the disruption should then take place in late spring/early summer when you’ll have more hours of daylight, and outdoor barbecues and cold suppers will be far more appealing. Have a read of our guide for tips on planning and designing a kitchen extension. Once you have a clear idea of both your practical and design requirements, draw up a plan dividing up the project into specific tasks with deadlines, and assign segments of your budget. Don’t forget to factor in lead time for the fittings and fixtures you’ll be ordering, and set aside an extra sum (5 to 10 per cent of the total is usual) in case you need to make unexpected changes as you proceed. You may want to hire an architect or find a reliable builder to help manage the work if it’s a large project. Get at least three different estimates, and look for members of relevant professional bodies to give you greater protection if something goes wrong. ‘Ensure that you employ a qualified tradesperson to fit your kitchen, and for any gas and electric work,’ advises Michael Burke of Homebase. Insist that your builder keeps the site as clean and tidy as possible. Make this clear from the outset. As well as reducing dust and dirt, a mess-free site is generally a safer site. If embarking on a major project, arrange with your builders to fit a temporary kitchen, comprising worktop, kitchen sink, microwave, fridge and electric hob. Pack away the majority of your kitchen paraphernalia to minimise clutter during the works. Keep back only essential cooking pots and the minimum of crockery and cutlery. Don't forget that you may need to inform your insurance company about the work you are doing so that you are covered for any mishaps – find out more about why you need renovations insurance. While you may be tempted to go away for a couple of weeks while the worst part of the job is going on. Don’t. Not only will your absence pose a security threat, you will need to be on hand to make crucial decisions even if you think everything is finalised. Most projects will need a little refining, so after the major work has been completed, make a list of details that have been forgotten, are missing, or wrong. Your contractor may have to return to finish these off, so allow for this in your deadline.